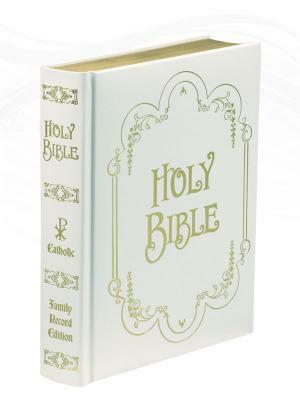 This affordable family Bible is in the Latin Vulgate translation. The DOUAY-RHEIMS Version is deligently compared with the Hebrew, Greek and other languages. Features include: a 12-page family record section; The Celebration of the Eucharist described and illustrated in full color; The Way of the Cross by L. Raymon Jones plus The Life of Christ and The Blessed Virgin Mary with reproductions of the great masterpieces of religious art. 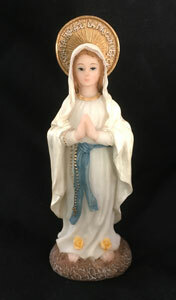 Size: 11" X 8 1/2" X 2"